Paige O'Hara's voice carried Disney's 1991 animated feature Beauty and the Beast to a most surprising place: the Oscars. An old fashioned musical rendered with 2-D and 3-D animation earned a rare place on the Best Picture nomination list in '92, breaking new ground for the medium, sending Beauty and the Beast directly to Broadway, and solidifying the movie as a millennial classic. Girls and boys didn't dream of singing like Belle so much as O'Hara, a book-loving belter who spoke without fear. So who would dare fill her shoes? Emma Watson of Harry Potter fame, that's who. Last year, Disney released a pair of trailers for the Beauty and the Beast live-action remake, but none that teased the musical qualities that made the first movie a success. Now, timed to the Golden Globes, we have a look at the singsongy spine that gives the movie stature. 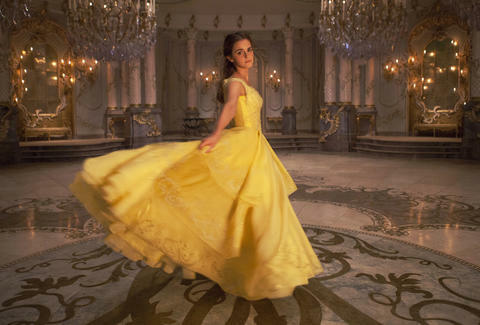 The trailer features Watson's minor, melancholy spin on "Belle," the big opening number from the movie. It's good. Whether it lives up to fans' nostalgia-laced dreams is an entirely different question. We'll know if Watson can transcend when Beauty and the Beast hits theaters on March 17. Wes Rendar is a writer and contributor to Thrillist. He loved the original Beauty and the Beast.